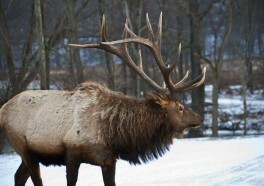 As many as 75,000 people will travel to the local area to view elk in September and October. With this much traffic, it is easy for conflicts to arise between residents, elk and visitors. With this in mind, we encourage all visitors to respect the privacy of the residents, and also would like to remind everyone that it is unlawful to feed the elk, and can be dangerous to approach them for photos or petting.